Spend your holiday in a traditionally constructed fisherman's house near the Frisian city of Franeker. It's in a unique location behind the Zeedijk. The dike overlooks the fantastic Wadden Sea. When the sky is clear, you can even see Terschelling! The comfortable holiday home offers everything you need for a pleasant stay. It's furnished with all modern conveniences. There's a living room with a cosy electric fireplace. The open-plan kitchen with a cooking island is fully equipped. The ground floor has a double bedroom and an en-suite bathroom with a shower. The first floor has two bedrooms and a bathroom with a bath. The children play safely around the house and there is recently a fully enclosed playground with, among other things, a swing, horizontal bars, sandbox and playhouse. You're in a great holiday region. You can go for long walks along the dike right by your holiday home. There are countless lovely cities to discover. Charming pavement cafés, pedestrian streets, friendly people - a delightful place to be! A day trip to Vlieland is highly recommended. The same goes for a visit to the Frisian museum in Leeuwarden. You can take the ferry from Harlingen to Terschelling. Back at the holiday home, enjoy the silence and the view of the starry sky from your veranda. 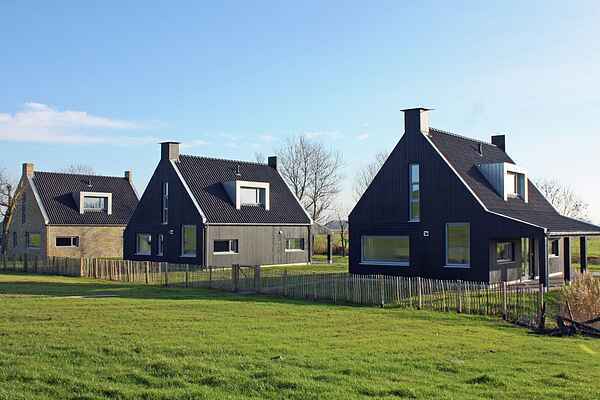 There's no more beautiful place to live than the Frisian sea dike!